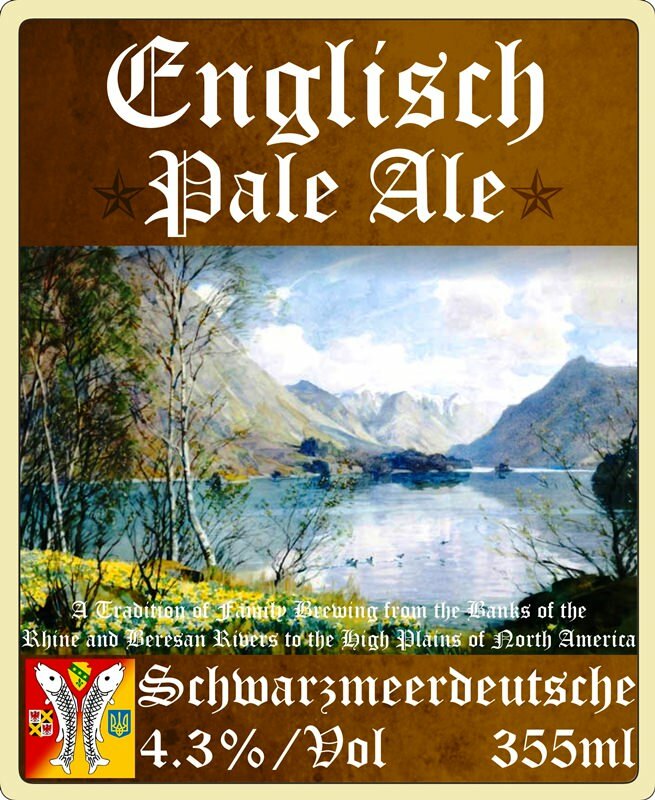 Englisch Pale Ale - The BSB SportzMan - A Forum for OutdoorzMen! 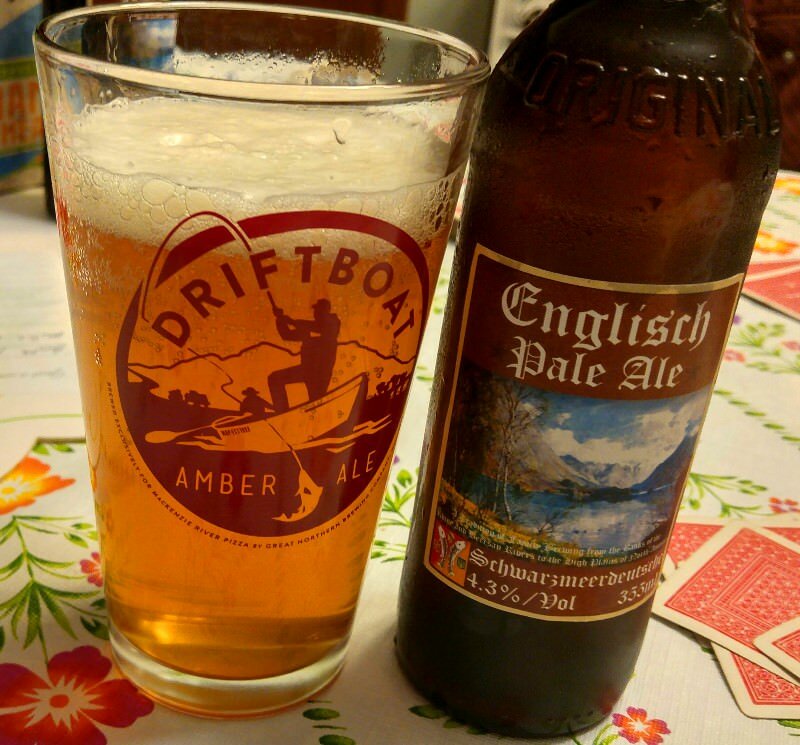 My next two brews will include a straight-up American Pale Ale and a straight-up English Pale Ale; this thread is for the English Pale Ale. What I really like about this easy-to-read book is how it introduces you to a versatile spectrum of 10 beer styles (pale ale, brown ale, porter, stout, saison, wheat, pilsner, Scottish ale, abbey ale and barleywine), with good descriptions and back-stories to each style. The book also includes basic, no-frills recipes for perfecting the fundamentals of each style (with some suggestions for possible variations) as you progressively learn to become a well-rounded brewer. This, to me, is a stroke of genius, and this brew represents the beginning of my quest to brew my way through those 10 styles, along with a possible variation or two along the way, such as in the case of the Pale Ale (English and American). My goal for this brew is for a stripped-down, non-complicated English Pale that reflects a few things about me. I am not consciously attempting to duplicate or emulate any commercial beer, but I do want it to conform to the style in general. I want this ale to be a malt-forward beer with good hop flavor and aroma, and a bitterness that is at the low end of the pale ale scale (see what I did there?). My name for the beer (Englisch) is a nod to my German roots, and the Maris Otter malt that I will be using is one that I have really come to admire. My chosen hops (Fuggle) were the hops that I used in the first beer that I ever brewed, and their characteristic flavour and aroma remain among my very favourites. 2g Fuggle Hops (5.9% AA) for up to 7 days after 7 days in primary. This recipe is coming about thanks to some input from a couple of great folks in the UK, who were invaluable in the process. They are reasonably confident that, using this recipe, I will get a very good representation of a traditional English Pale Ale that would be fairly recognizable over there. If things go well, this weekend will be when I am going to brew this beer. Looking through the thread, I see that I have been making things way too complicated; therefore, I am my goal is to simplify this within the parameters of my goals in time for BrewDay. On Monday, 19 February, I was - finally! - able to brew this beer. I am up to my neck in a busy week already, so I will keep it short; however, as far as I can tell, everything went very well with the brew and I encountered no difficulties that I can recall. As soon as I can, I'll post the final recipe that was actually brewed. I'm pretty sure it is the same as the latest one posted here; but just in case it isn't, I'll add it for the record. The only major change that I can think of off the top of my head is that I eliminated the dry-hopping step, as I've tried a couple-three dry-hopped beers and simply wasn't impressed with the result. Judging by what I saw, smelled and tasted during the brew, I think I've got some great things happening; I'll post more as events develop. From all indications, it turned out beautifully for a first attempt, and I see no reason why it can't be my "go-to" recipe for an English Pale Ale. There was very good balance between the malts and the hops; I think that my choice of Fuggle hops was spot-on for this grain bill. The Carastan 30/37 seemed to give it a little something that I really liked...something between caramel and toffee that did not take over, as I feared it would. All-in-all, I am very happy with this beer. 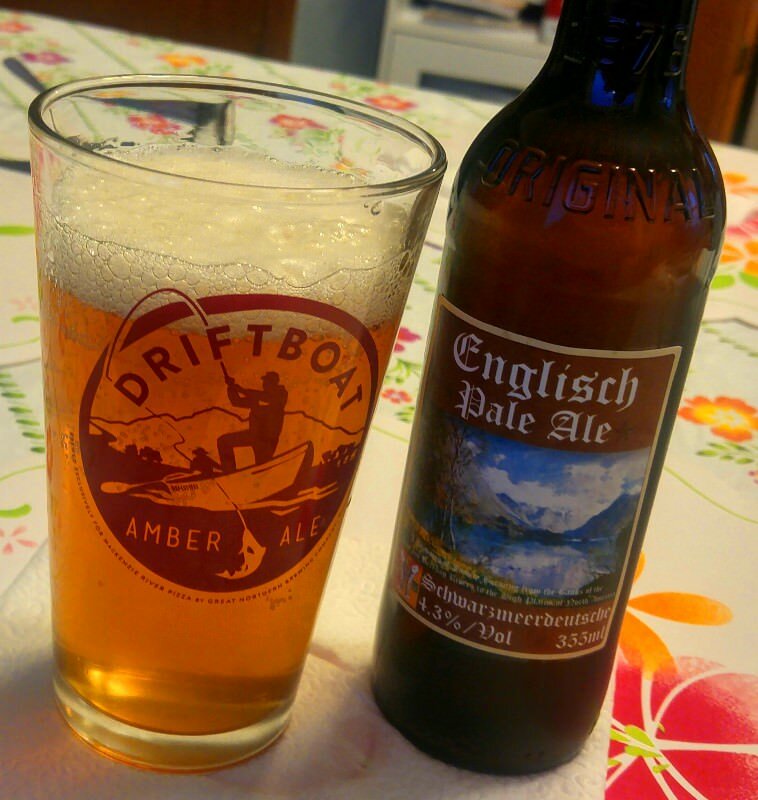 According the BJCP guidelines (2015), this English Pale Ale is more properly called a Special, Best or Premium Bitter; however, I find that term to be a bit easy to misunderstand, as there is nothing exceptionally bitter about it. Indeed, I find it to be very well-balanced, especially now, as the caramel of the malt is beginning to peek out a bit. This is a good thing, as I have been told by many that this style of beer is all abut balance. Because of this, it will always be - to me - just an English Pale Ale, just as Pluto will always be a planet. Anyway, as I said, it is my opinion that this beer is really coming into its own. I've seen some good improvement in the head, and it has become a very tasty, very drinkable beer; it was before, but it is even more so now. Having said that, I do see a little room for improvement, and plan to make a couple of small tweaks the next time I make this, based on some helpful feedback from a few folks across the pond. The first one is to use a darker Crystal malt than the Carastan 30/37 that I used for this; this will allow me to drop the Black Patent, which is only there for a little colour. I will also bring the hops up just a bit; to keep it in balance as well as to bring a little more aroma and flavor of the Fuggle Hops to the party...not much, just a little dab. Finally, I am considering adding a touch of wheat to improve the head; I'm still on the fence about this, but it is an option. With all that in mind, I have a very good start to a really nice beer that I plan to improve and brew much more in the future.